Posted on December 6, 2018 at 5:00 pm. There’s a corner of Lambeth each Wednesday afternoon which is dedicated to everything about healthy food — and there’s free fruit and vegetable bags on offer as well. The Max Roach Community Centre, a vibrant, super-friendly, wood-clad building in Max Roach Park, becomes a midweek Incredible Edible LEAP zone. Walk in through its doors and you’re greeted by delicious smells from the kitchen, crates of brightly coloured fruit and veggies and lots of people with soil on their hands coming in from the garden. Wednesday lunchtime is our Incredible Edible LEAP grow and play session. 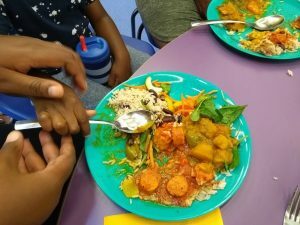 Our parents cook nutritious vegetarian lunches using surplus food from City Harvest. The Incredible Edible LEAP families are able to have a selection of fruit and veggies to take home. All the recipes also go into the food bags. We have a huge collection now and it’s the parents who decide what to cook: bean burgers, soups, bread. Food is really bringing all our groups together. 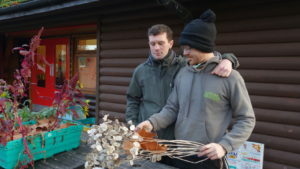 Out into the garden, Bill and Steven from community gardeners Urban Canopy are relishing the challenge of transforming the outside space into a growing space. It’s early days but eventually the food bags given out each week will contain things grown at the centre. The plants from this year will be harvested, cooked or bagged next spring and summer. They are working through projects which include digging and planting vegetable beds, laying poly tunnels and compost heaps, and then planting an orchard and an edible hedge. Last week we were looking for insects in the compost like woodlice and spiders. The kids were learning the basic principles of gardening through sensing and feeling. They were finding out where food comes from and getting more in touch with nature in the city. This week they are planting tulip bulbs. Back inside the building, the pumpkin soup is being handed out. Warm deep orange swirls in little coloured bowls. Everyone says it tastes every bit as good as it looks. 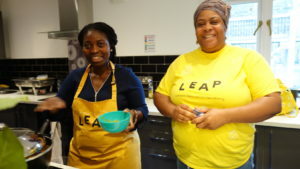 With soup cooked and served, Incredible Edible LEAP Food Ambassador and parent Michelle leaves the kitchen and talks about the impact the project has had on her life. I’m a diabetic mum. Receiving food bags has relieved me from the financial stress of buying my own fruit and vegetables. Who knew vegetarian food would taste so good? My weight has gone down and I’m sleeping much better. It’s enhanced my confidence and allowed me to meet good people in my community. 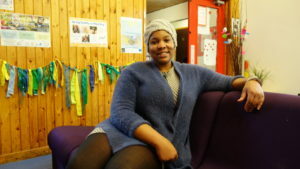 Michelle completed a training programme with us on how to cook healthy food in community settings and gained her Food Hygiene Certificate. Have you been inspired by the stories at the Max Roach Community Centre? There are activities like this taking place every day of the week in the Brixton, Stockwell and Tulse Hill area. Find out more about how you and your family could benefit from joining Incredible Edible LEAP.